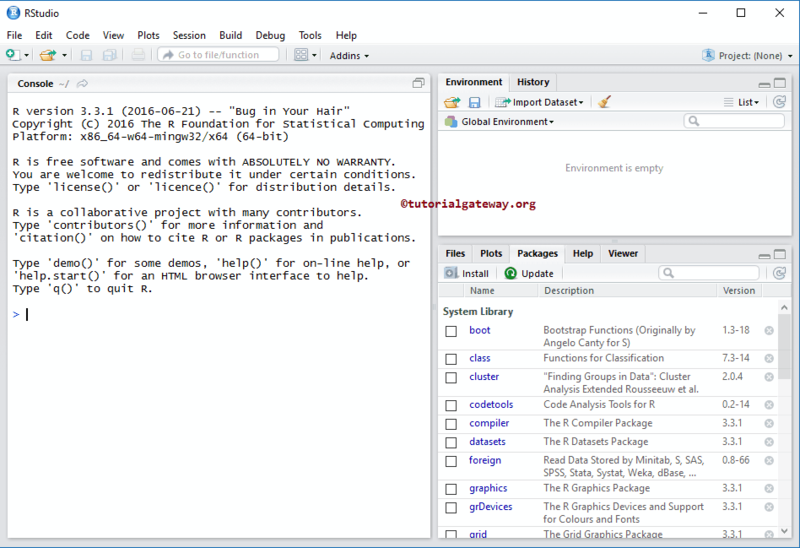 R Studio is an Open source and enterprise-ready professional Software environment for R Programming. It is available in the desktop version (free and pro), and server version (free & Pro). 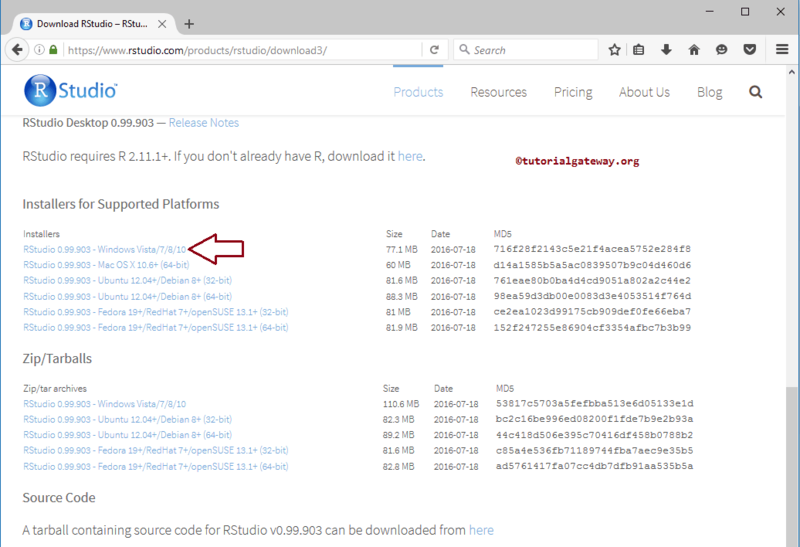 In this article, we will show you, From where or How to download R Studio software (desktop version) with screenshots. 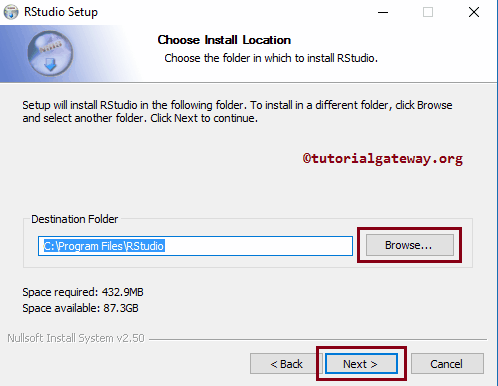 Following are the steps involved in R Studio download. NOTE: We have to install the R Software, before installing the RStudio. 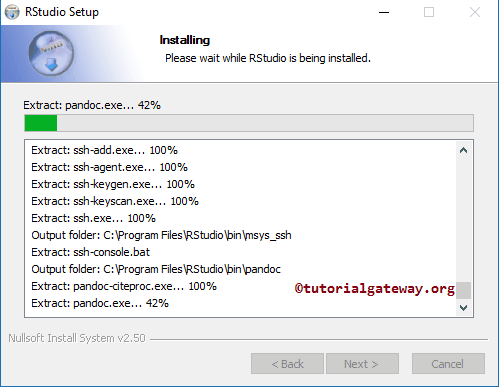 If you haven’t installed R then, Please refer to R Software Download article to understand the steps involved in downloading R Software & Install R Software article for the installation process. 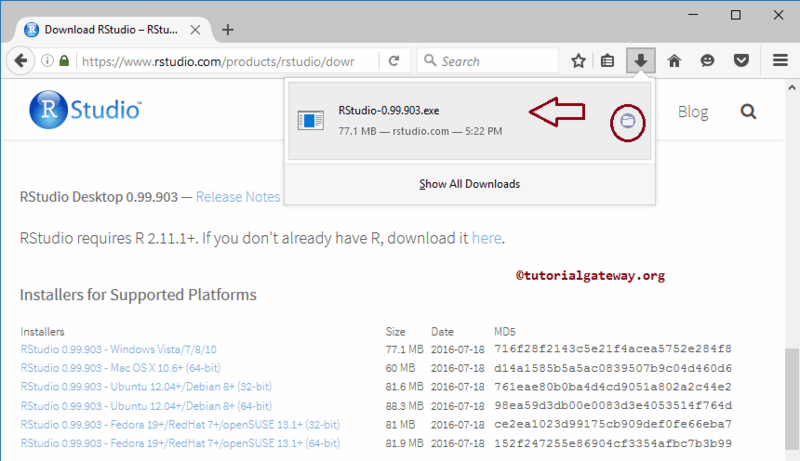 Step 1: In order to download R Studio, first Go to the official R Studio website by clicking this link Download. 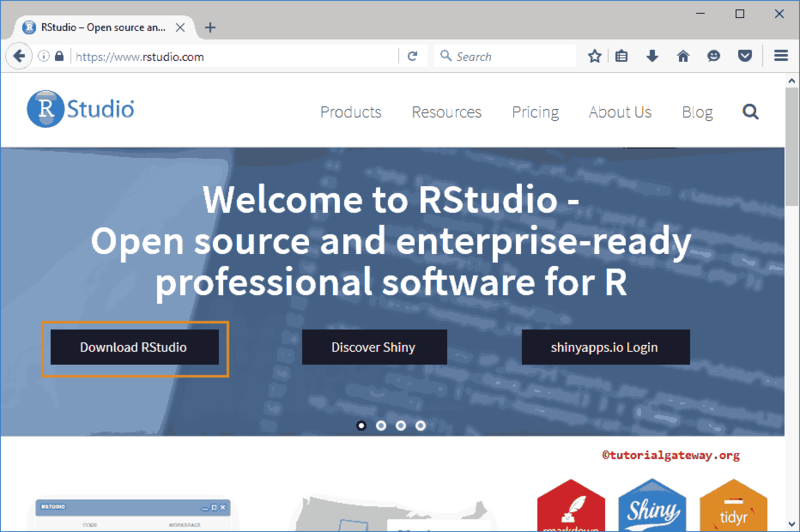 Below screenshot will show you the Home page of the official RStudio website. Next, Click on the download RStudio button to start the download process. Step 2: Once you click on the specified download RStudio button, following tab or window will be opened. 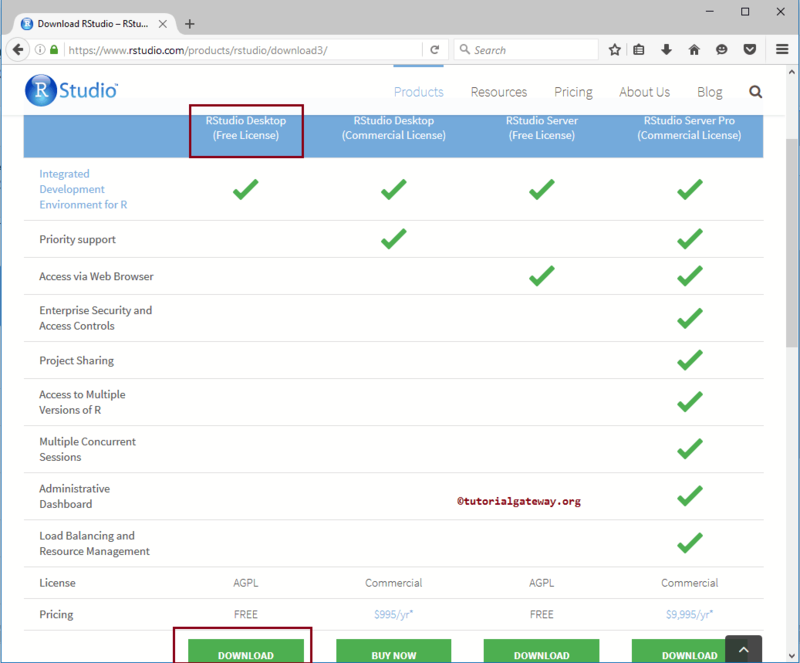 Please select the RStudio Desktop (Free License) and click the download button. Step 4: Once you Click on the RStudio hyperlink, a pop-up window will be opened to save this file. Please select the Save File option. Step 2: After you click on the install application, Welcome to the RStudio Setup Wizard window will be opened. Please select the Next button. 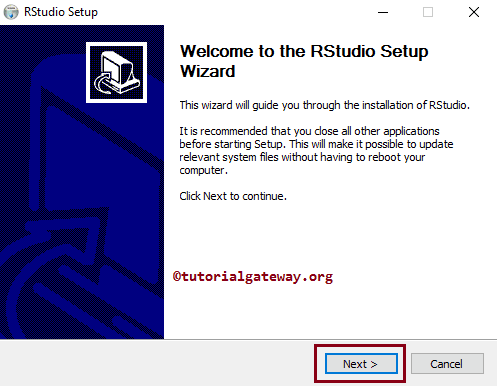 Step 3: Here, you can change the default R Studio installation directory. In order to do that, we have to click on the Browse… button beside the text box. This will open our file system to navigate the location, and select the directory. From the below screenshot you can observe that we are using the default directory as the destination folder. 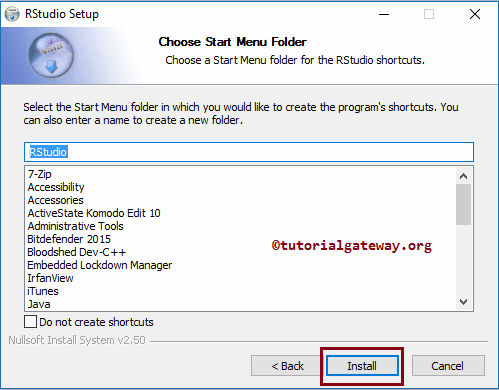 Step 4: Here, you can change the R Studio program’s shortcuts default directory. For this, we have to select the directory name from the list. From the below screenshot you can observe that we selected the Rstudio folder (default).